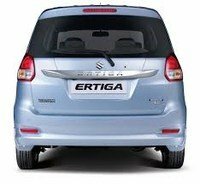 Buy genuine Maruti Ertiga Back Glass heated at Auto Glass Masters. We offer genuine AIS (Asahi) tempered Ertiga back glass with heating replacement at best price. Get Insurance claim facility for all major insurance companies. We also offer doorstep service.